[toc]Warts are a form of skin infection caused by the human papilloma virus (HPV). Warts could occur on the hands, feet, or anywhere else on the body. They look like large boils or eruptions and on scratching they might start to ooze out contagious liquid. Warts could aggravate and last for years altogether if not treated. It may sound strange, but banana peels are known to be very useful in the treatment for warts. You can rub a banana’s peel everyday on the wart or even tie a banana peel over the wart for an entire day using an adhesive material like a duct tape. It usually takes some time for the treatment to work so you should be patient with it. It is another remedy that can be prepared from home itself. 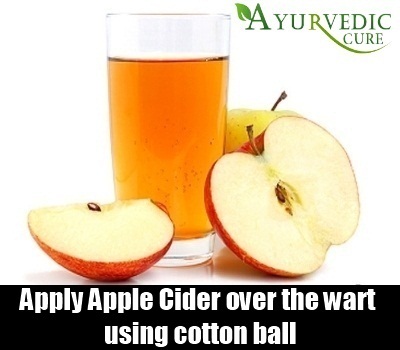 You can soak a cotton ball or tissue in Apple Cider Vinegar and put it over the wart. You can tie it up overnight using an adhesive bandage. Apple Cider Vinegar is very acidic in nature and it could irritate the skin over the wart causing it to finally shrink. If it irritates your skin, you can dilute it water or use it every alternate night instead of every night. This traditional plant is known to give great benefits in cases of skin infections. You can consume aloe juice every day and that will boost your immunity and help your body to fight the infection. 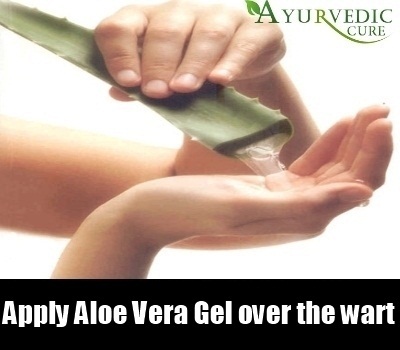 You can also use a topical aloe gel or aloe cream to apply it over the wart. Aloe gel is very neutral on the skin so you won’t feel any irritation nor will it cause any reaction on hypersensitive skin. Aloe could prove to be a good alternative if apple cider vinegar doesn’t work with your skin. 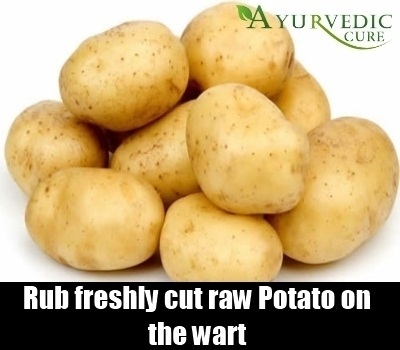 Applying freshly cut raw potatoes on the wart can be very beneficial. You could rub the potato on the wart several times in the day. The potato cuts down the enzymes that are secreted by the wart in order to grow so hence it avoids the growth of the wart. 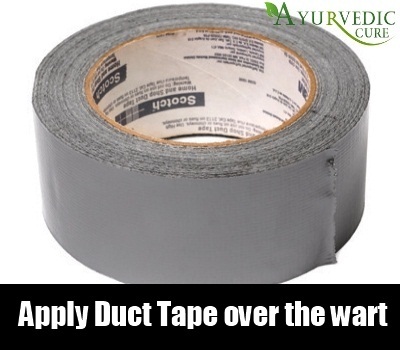 Only applying duct tape or adhesive bandage used for medical purposes on the wart for days together can help a great deal. These bandages have a sticky material on them and if you tie them up with a good amount of force, they will pressurise the wart and the sticky substance will make them stick to the tape. The dead cells from the wart will slowly start sticking to the tape. Change the tape every day.